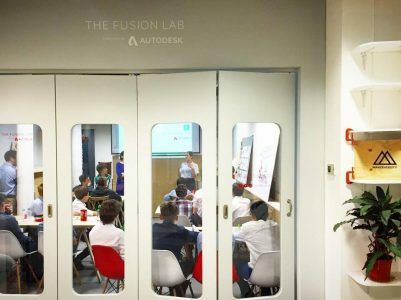 Creative Disruptors at Makerversity’s Fusion Lab! 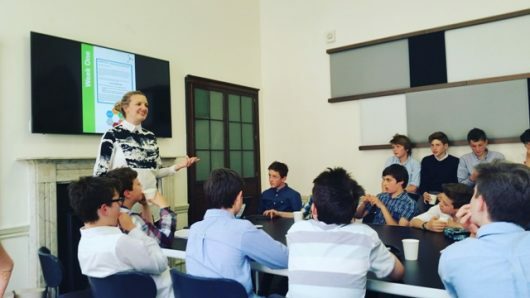 On Friday 10th June thirty-eight Year 8 students from the Royal Grammar School in Guildford took part in the Creative Disruptors innovation challenge hosted at Makerversity Fusion Lab in Somerset House, London. 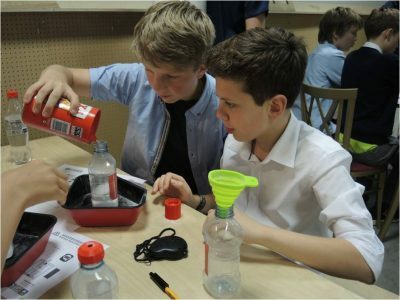 Creative Disruptors is our new six-month innovation challenge programme open to schools in the UK and Tanzania. 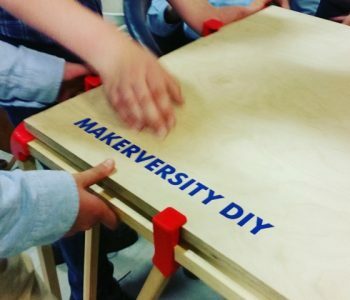 As part of the Creative Disruptors learning process that encourages the development of empathy and creative capacity, students in the UK and Tanzania are partnered with makerspace workshops (Makerversity in London, UK, and Twende in Arusha, Tanzania), supporting them to develop their creative know-how. The day at Makerversity was split into two sessions. 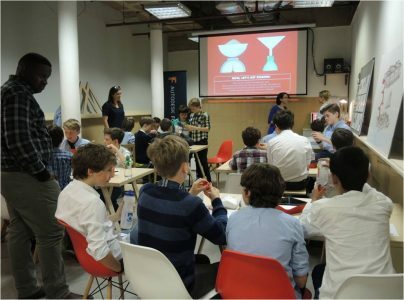 The first session took place in the Makerversity learning centre where students were challenged to create one-minute sand timers as well as a work bench, encouraging their teamwork and communication skills in a high energy, creative setting. In the second session, students got the full board room experience, learning about the role of empathy within the design process and interviewing their fellow students to redesign a school bag. The day was jam packed with activity and excitement, not to mention a high-speed drive-by from the Royal Family! Throughout the day students utilised the skills that they have been learning through the weekly Creative Disruptors challenges; how to work effectively as a team, how to listen to each other, how to manage themselves and their time effectively, how to work to deadlines with no guidance… to name but a few. The boys did extremely well, some finding the new skills easier to implement than others but an ongoing and very worthwhile process. The students left exhausted but inspired and full of innovative and interesting ideas that they will use when designing their own innovative, unique appropriate technologies ahead of the Creative Disruptors final at Makerversity later in the year…so watch this space. One of the best quotes we received from a student during the day was in response to a task on empathy and the difference between sympathy and empathy. Using the current refugee crisis as a case study, Lucy asked the students “what would be a sympathetic reaction to this crisis and what would be an empathetic one?”. In response, one 13-year-old boy replied “sympathy would be putting money in a fundraising bucket. Empathy would be what that money goes on to do”. All the teachers and mentors were incredibly impressed by the students’ maturity to the topic and look forward to seeing how this progresses in their designing going forward. 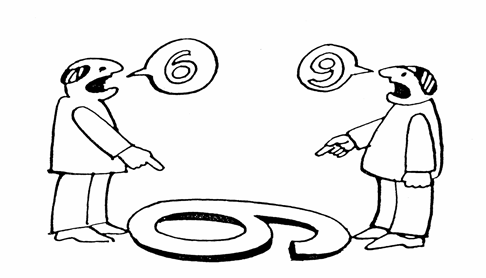 (Empathy is about seeing things from another’s perspective and responding in a fair way).